Hair Restoration is possible for men and women of all ethnicities. 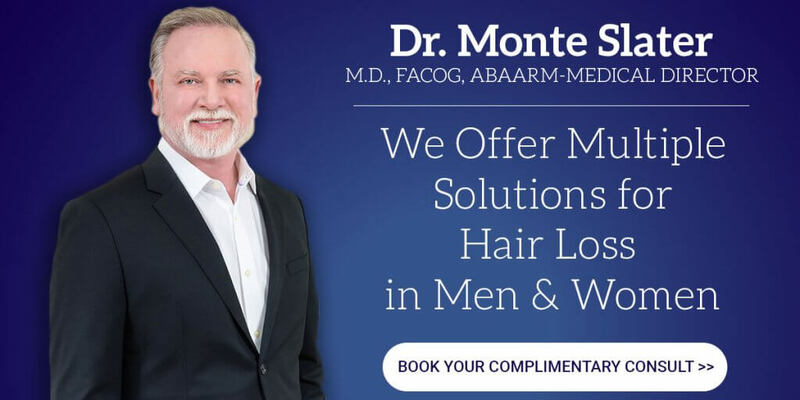 Dr. Monte Slater, our double-board certified physician began his career as an OBGYN and Obstetric Surgeon 30 years ago and shifted his focus to Aesthetics and Hair Loss Solutions (Hair Restoration) about 10 years ago. 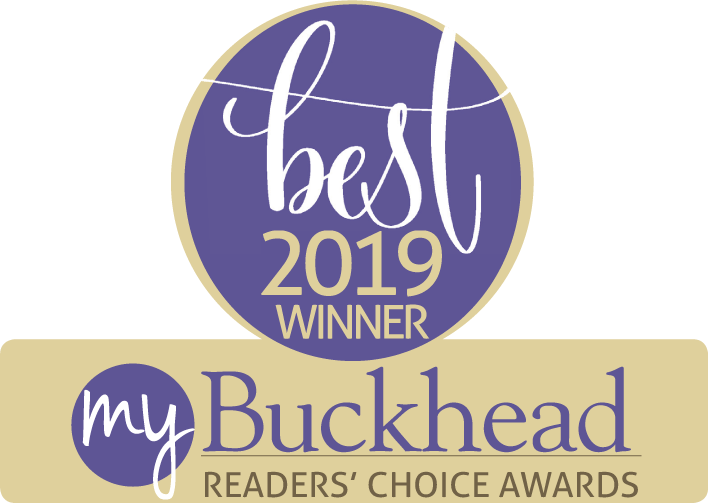 Dr. Slater opened Buckhead Hair Restoration in Atlanta in 2014 because he wanted to help his patients by providing effective Hair Loss Solutions that are long lasting and minimally invasive. Hair loss affects men and women of all ages and ethnicities. The need for long lasting hair restoration in addition to being able to offer a multitude of hair loss solutions has become essential for Hair Clinics around the country. Dr. Monte Slater is an authorized and endorsed Neograft provider and specializes in diagnosing th4e causes of hair loss. Dr. Slater offers complimentary consults to patients seeking solutions to regrow their hair. 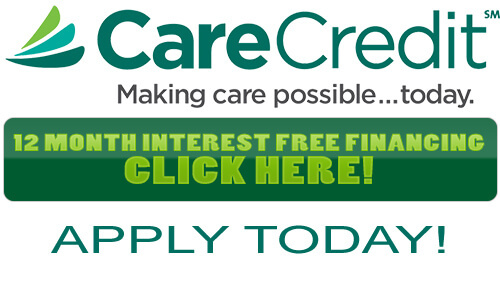 12-month interest-free financing through various companies include Care Credit Financing. 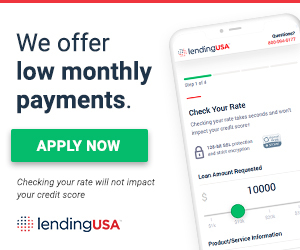 To explore financing here is a list of 3rd party providers offered by us. Nonsurgical Hair Restoration with PRP is trending to combat hair loss in men and women of all ethnicities. Hair Clinics all around the country are now offering Platelet Rich Plasma Hair Therapy because it can help regrow hair and slow down hair loss in some patients. 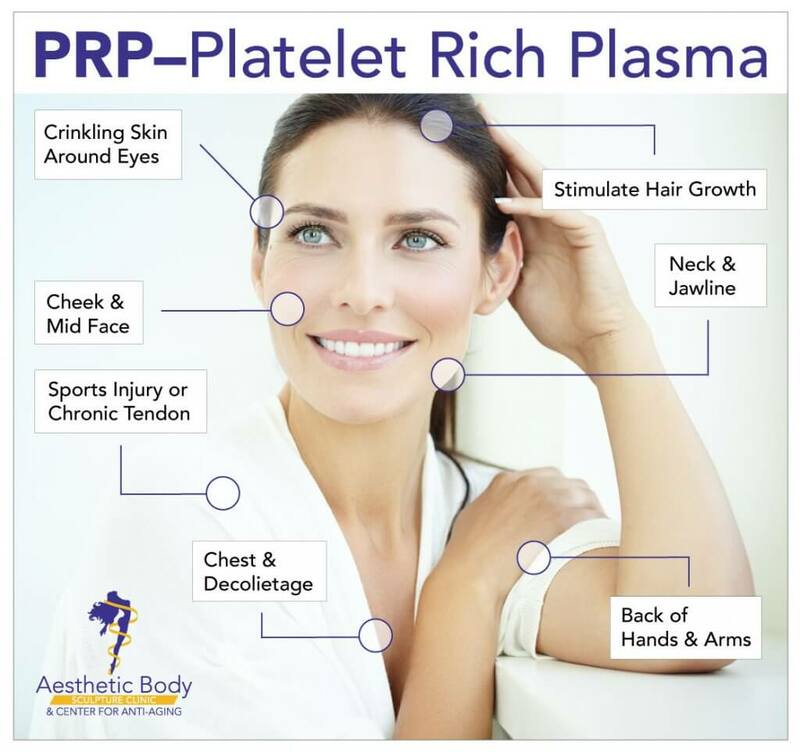 PRP is derived from the patient’s blood and re-introduced via injections or micro-needling. Platelet Rich Plasma contains important growth factors that can help regrow hair by stimulating weak and even dormant follicles to return to the growth phase. PRP can be injected in the area of hair loss after numbing the scalp. The treatment should be repeated up to three times per year or as recommended by Dr. Slater. We offer micro-needling (performed by our estheticians) and nurses) and scalp injections (performed by Dr. Slater) utilizing platelet rich plasma to promote hair growth. PRP can also be performed for skin rejuvenation of the face and body. Soft Tissue injuries can also be addressed with PRP. Neograft Hair Transplantation and is an alternative to the old strip method which causes a linear scar at the back of the head. This scar is often referred to as smiley face scar and can be visible in men and women with short hairstyles. Neograft Hair Transplant was the first FDA approved FUE (Follicular Unit Extraction) method that is both minimally invasive and long-lasting. Neograft doesn’t leave a linear scar – making it a great choice for short hairstyles and is ideal for men and women of all ethnicities. 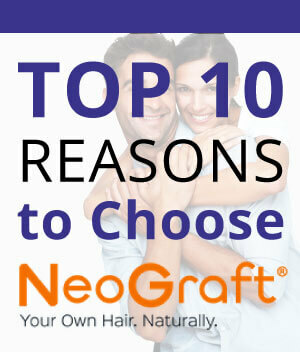 If you hate the idea of “going under the knife,” NeoGraft could be the right fit for you. Rather than using a scalpel, the Neograft system offers an automated method to removes individual follicles from the donor site at the back of the head. After the follicles are extracted (2-6 hairs), our team implants them into areas of the scalp where the hair is sparse. The hair in the donor area has to be cut short or shaved, however, the hair on top can often cover this area. If you are balding in the crown area, chances are that you have to keep your hair in a short style until the hair grows back. Our Atlanta based Hair Clinic offers the medical expertise from our trained Hair Technicians and Dr. Monte Slater. Hair loss can be caused by aging and imbalanced hormones. This is why Dr. Slater offers BHRT which is a natural way to restore hormone levels to their optimum levels. This type of hormone replacement therapy does not cause the horrific side effects of hormone replacement therapy as we once knew it. Light therapy has been shown to improve follicular health and stimulate hair growth in men and women. It was FDA approved for alopecia in men and later also for hair loss in women. We will be glad to suggest specific brands that have a proven track record for results and also offer the original LaserCap for sale. For your convenience we offer blood draws in our office and the results of your lab work can help Dr. Slater identify possible causes for your hair loss. * Disclaimer: The information on this page is for informational purposes only and does not guarantee an outcome. Results vary from patient to patient.